1. Clean and soaked brown rice, barley, urad dal, moong dal, split yellow peas and soy bean submerged in water for 3-4 hours. 2. 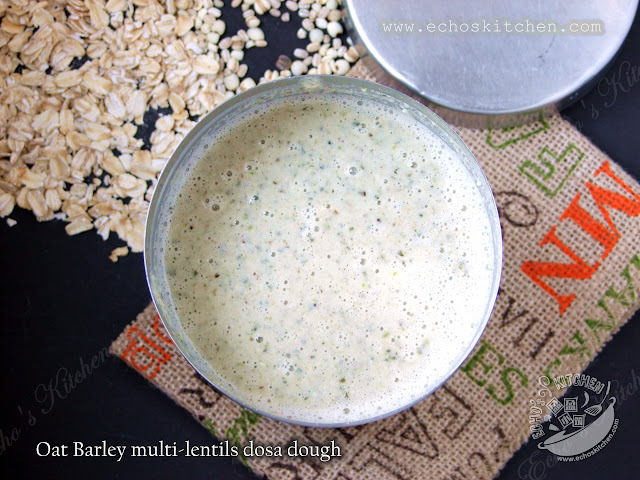 Grind the soaked pulses and rice with all the ingredients listed with just enough water (around 1 cup) to form a batter, the batter's consistency should be of pancake batter consistency. Do add the water slowly and split in few times to adjust consistency. 4. 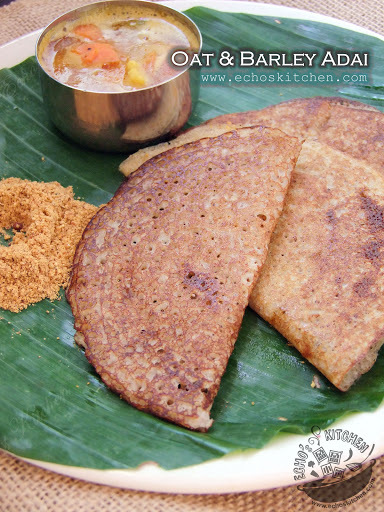 Bring the heat up to medium, spread a little oil over pancake/Adai, cook until the edges turn brown in color, flipped and cook for 30 seconds before folding. 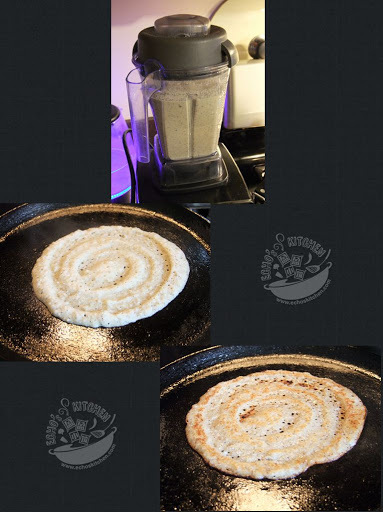 Here is a short demonstration of how to spread the Adai, the same method used for spreading Dosa. 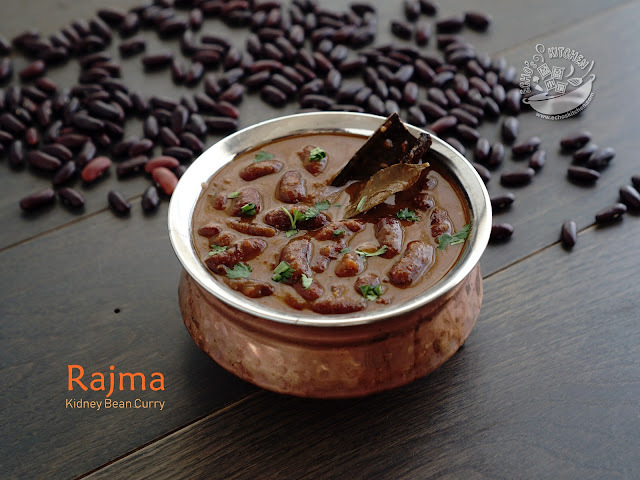 Serve with South Indian Sambar and Milagai Podi/Idli Podi. A little Ghee brushed on the Adai 30 seconds prior to removal brings a nice aroma..